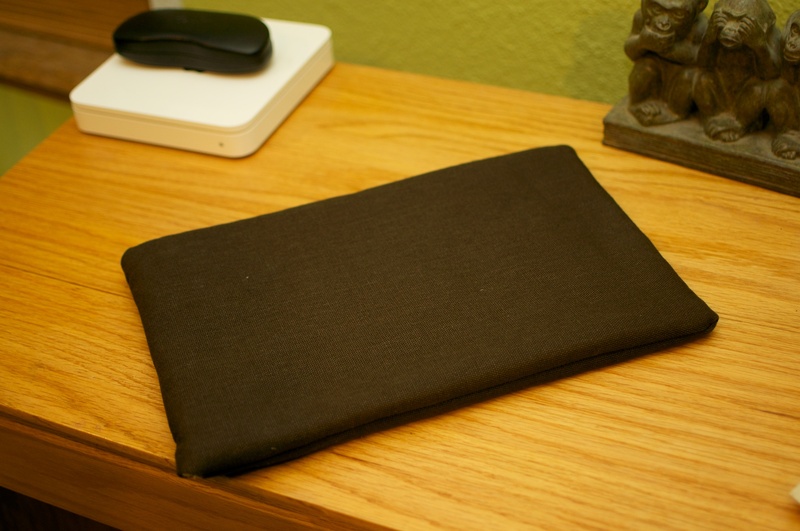 I’ve been using Incase neoprene laptop sleeves for the past 3 or 4 years. 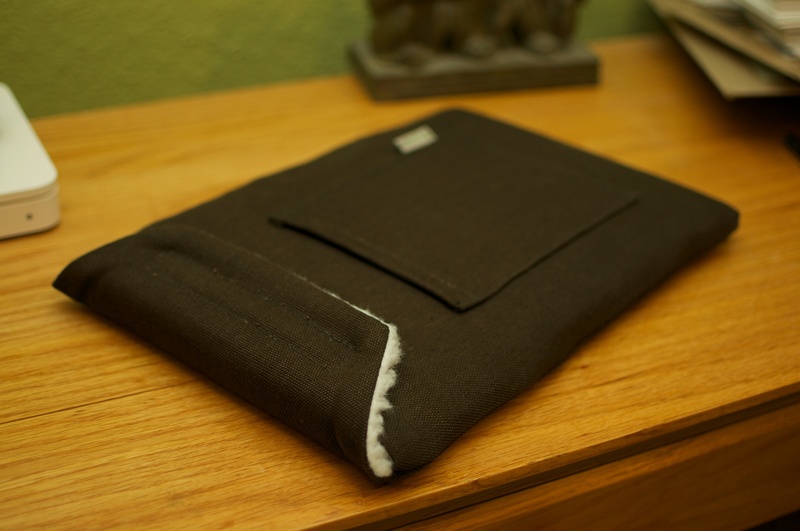 I wanted a sleeve that would enable me to recognize it amongst a pile of laptop cases. Just about every sleeve follows the same formula as Incase: form-fitting neoprene and a zipper. 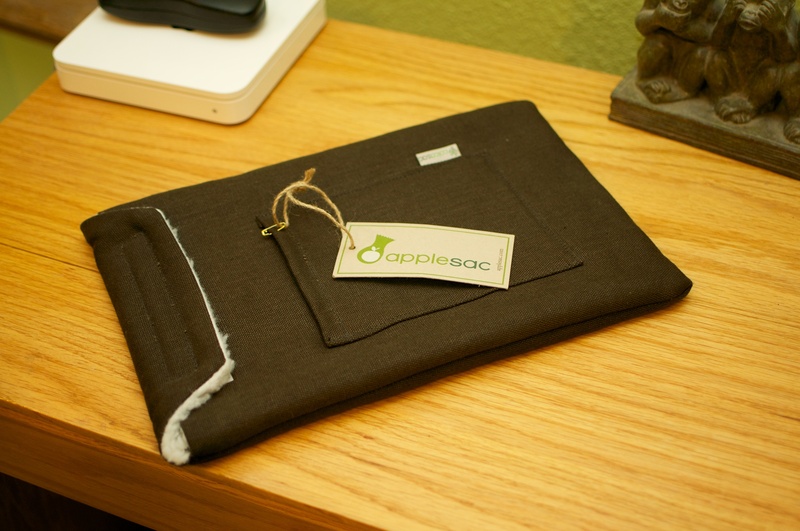 One of the few manufacturers making something different is ColcaSac (formerly AppleSac). 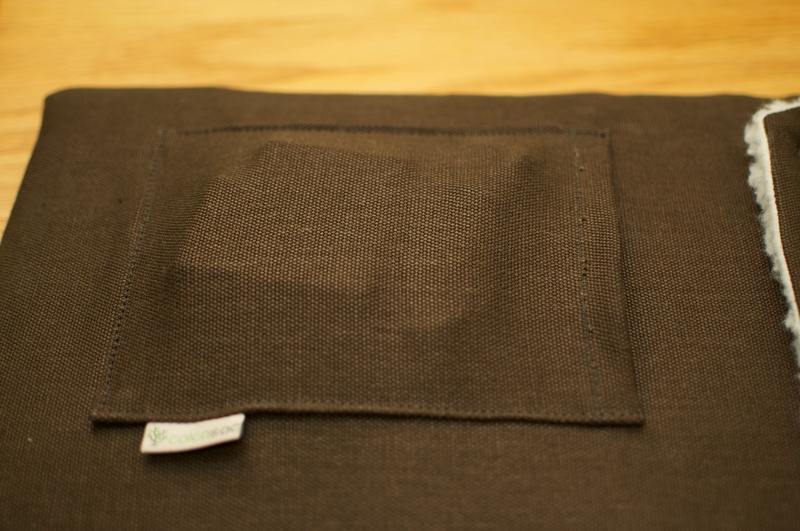 What they make is basically the opposite of the Incase sleeve: natural materials, velco flap, and not formfitting. I got the Hanakapiai model. (note: I really don’t care for the name. It’s like when those Swedes at IKEA name all their furniture ridiculous sounding words no one likes having to pronounce, see: “Blürg Vørsāts”). Fortunately the name is really the only thing I dislike about this sleeve. The exterior fabric feels like a burlap sack, but a little softer, definitely not scratchy. 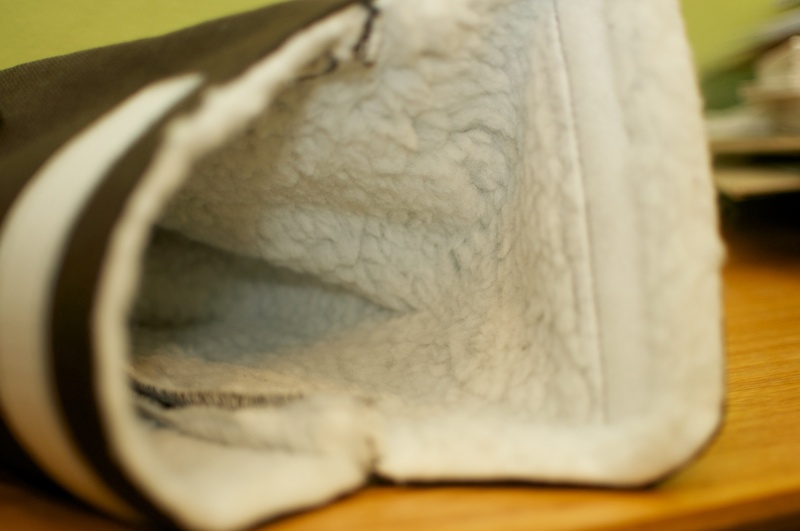 While the interior is lined with a faux lamb/sheep fleece. Unlike neoprene sleeves, the ColcaSac is not form-fitting. 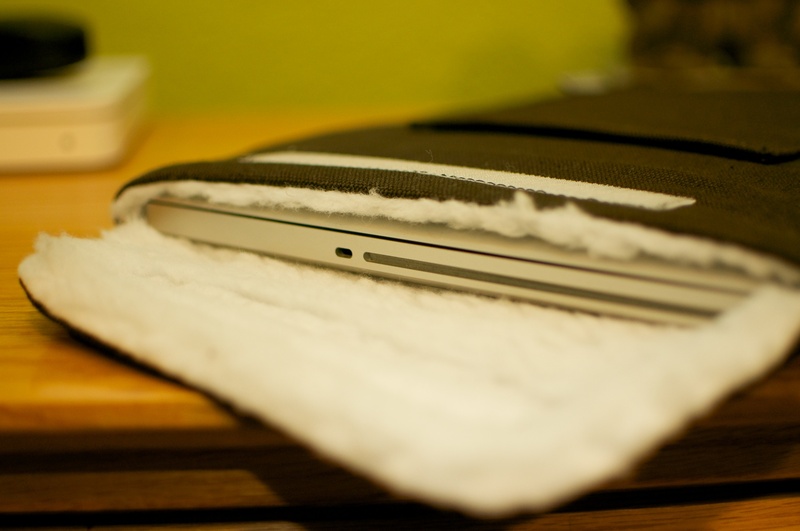 The initial fit is very tight, so tight that the velcro flap would hardly close all the way and I struggled to pull my laptop out of the sleeve. However after storing a laptop in it for a few weeks the fabric stretched out and now I can slide a laptop out fairly easily and close the flap over all the way. It still takes a bit of a pull to slide out my laptop. 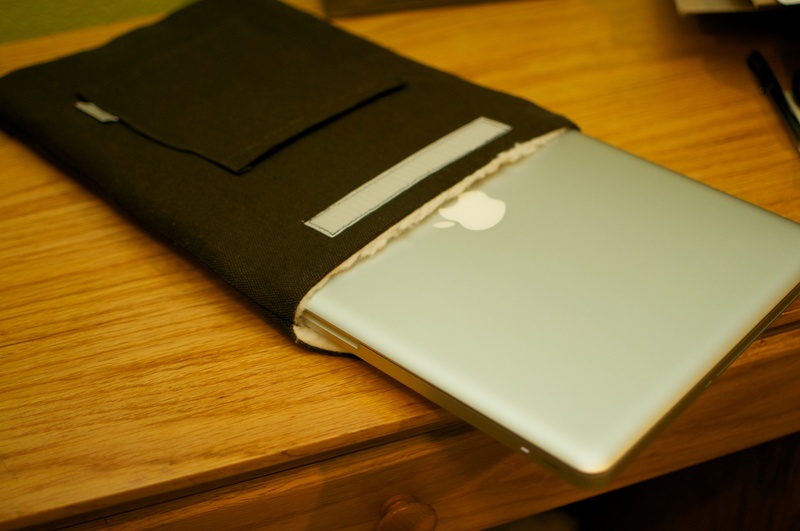 I think of this a positive as it keeps the laptop from slipping out, if, for example, you were running with your sleeve open and tripped. One advantage of this style of sleeve is the increased corner protection. 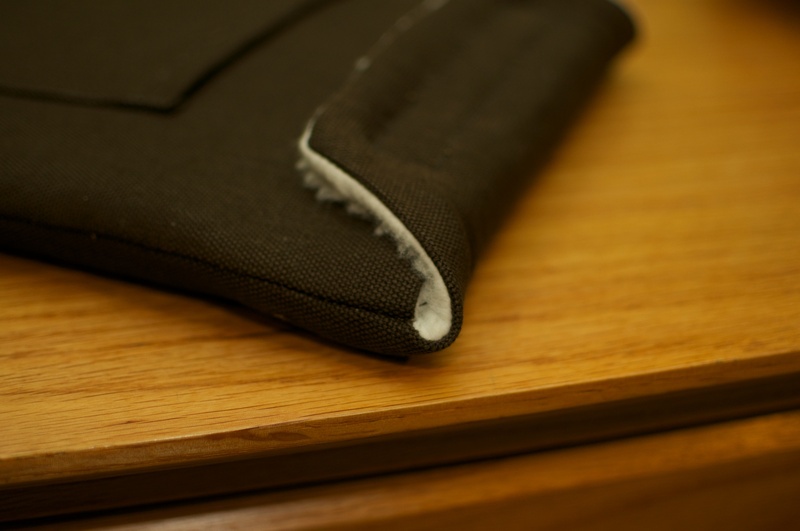 Neoprene sleeves offer little to no corner protection when dropped. The ColcaSac corners are squared off which results in extra material on the corners. While I doubt it would protect from a fall of say 6 or more feet. A short fall from a coffee table or counter should not turn your screen all sorts of pretty permanent colors. 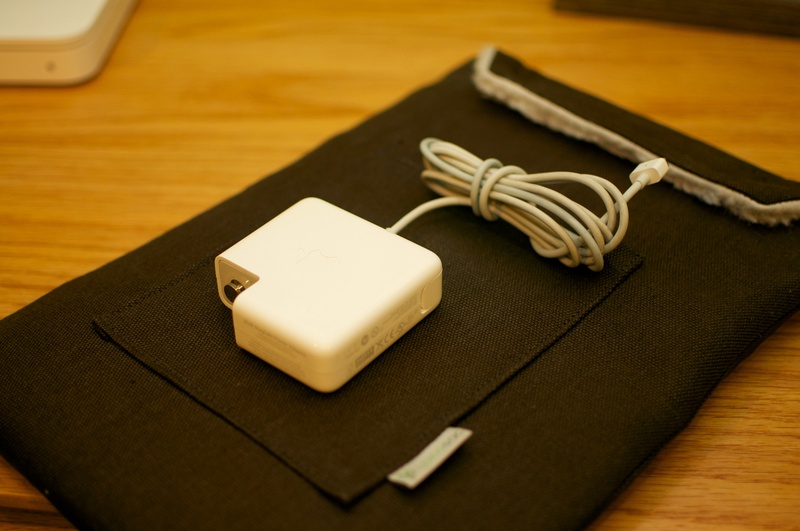 Another feature I like is the integrated pouch for storing your AC adapter. Unfortunately you cannot store the adapter with the extension cable in place. You have to either remove it or use the small flip out plug. The only issue I see with an adapter in the pocket is pressure being applied to the top of the screen. However after a few weeks of use I see no reason for concern. If you’re really paranoid you can always remember to put your laptop in with the screen side facing away from the pocket. Also, if I’m going to be doing more reviews I really need to develop some kind of rating system. Like stars, or wrenches, or lolcats.